The Born comfort you love is now available in a durable, ready-for-anything slip-on: the Born Mayflower. 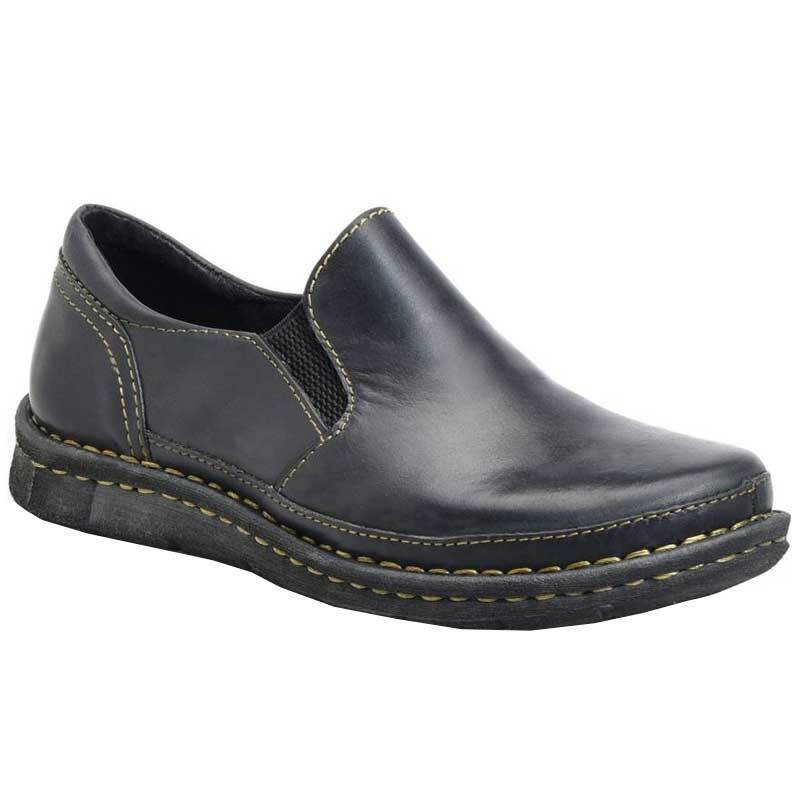 This women's slip-on features a full grain leather upper with contrast stitching and elastic side panels which allow for on/ off ease. The leather lining creates a healthy environment for your feet, and the cushioned insole provides hours of comfortable wear. Opanka hand-crafted construction ensures a durable, yet flexible hold. The EVON outsole is flexible and lightweight, with just enough cushion and bounce-back to keep you going all day long. Find your sporty side in the Born Mayflower sneakers.